The Reporting Center consolidates key figures from Brand Maker modules as well as external sources and displays the whole data set comprehensively in customer specific dashboards. Analytics dashboards with a broad range of views create a 360 degree view of all key performance indicators (KPIs) and marketing activities. 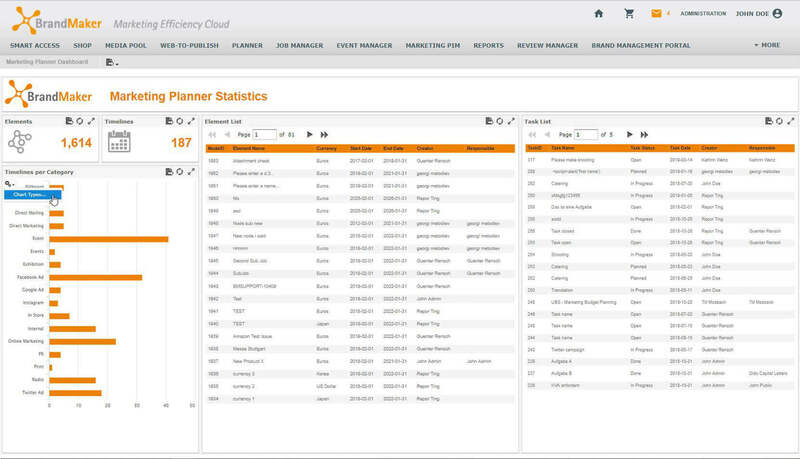 Reporting Center connects information from other modules, such as Marketing Planer, Media Pool or Marketing Shop, with external data sources as needed. 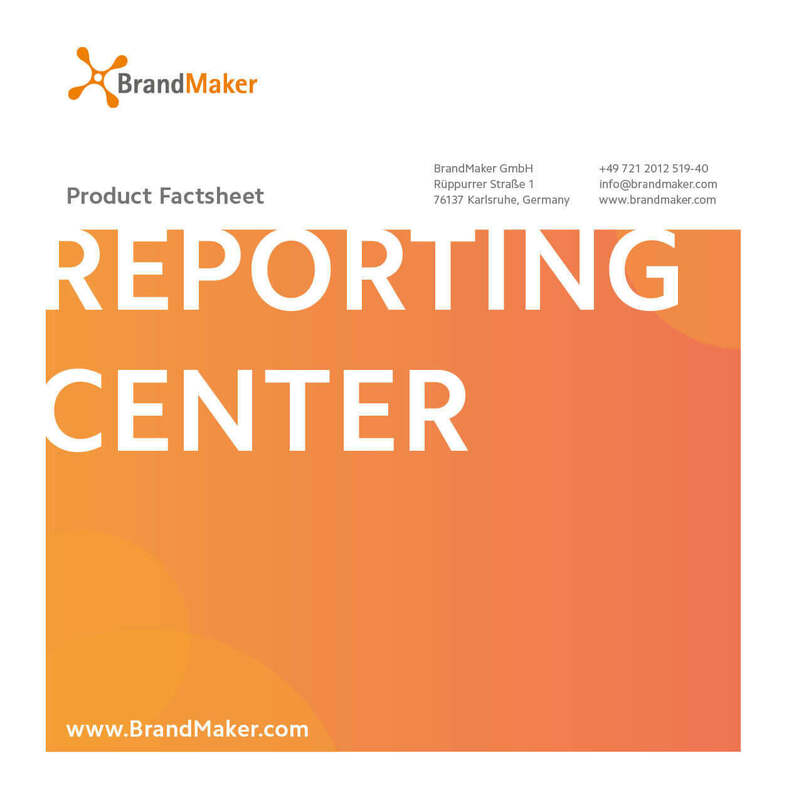 Comprehensive evaluations and reports are available within the BrandMaker environement, thus the use of separate reporting tool becomes redundant. Review the performance of your marketing activities based on real time performance feedback. 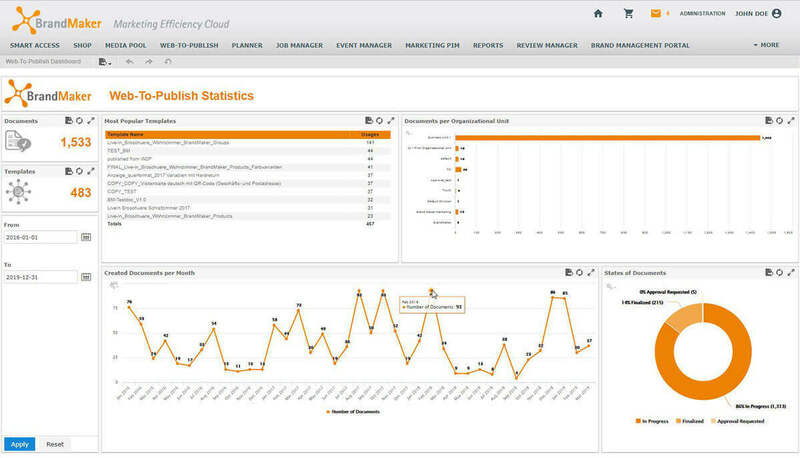 Automatically receive comprehensive reports about your marketing performance. 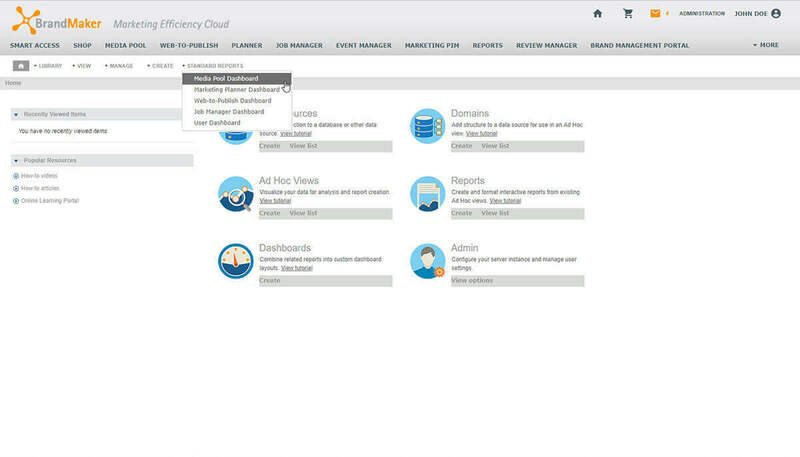 Besides preconfigured and centrally available reports users can create their own reports via drag and drop easily. A whole range of different reports can be created, including list-based reports, a variety of different charts and even more complex, multi-page assessments. Exports can be created in all usual formats. Automatically create new reports once new information becomes available. Have the up-to-date reports sent to the relevant users at pre-defined intervals by e-mail. This, combined with the easy report generation via drag and drop, enables your marketing teams to create all necessary evaluations for every stakeholder quickly and comfortably, even without technical knowhow. The cross-module reports increase marketing transparency and provide marketing managers and executives alike with valuable in-depth information about their marketing performance, such as an overview of the status of KPIs, detailed usage statistics for media assets or workflow efficiency. 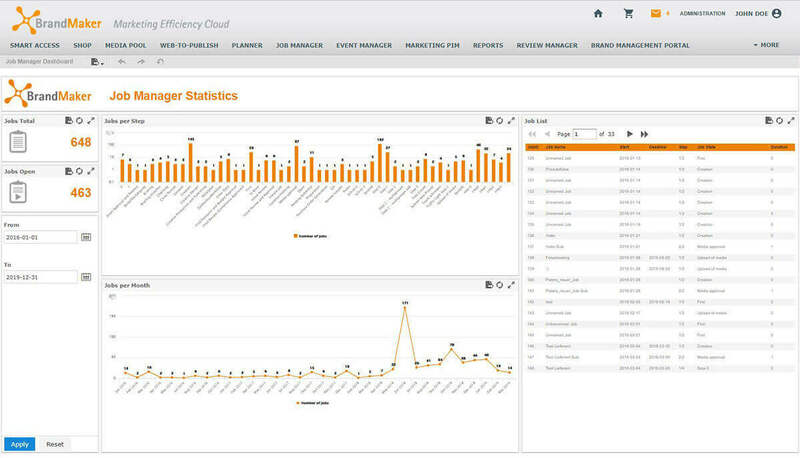 Dashboards help to make quick and well informed decisions, leading to increased effectiveness and optimized budgets.